EO/IR Sensors Single, dual and triple-channel Electro-Optical (EO) Sensors including kinematic camera interfaces for boresight alignment and back-focus adjustment, custom camera electronics packaging. 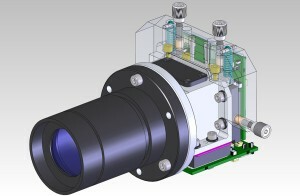 Applications vary from Single EO/IR Sensor to Ice Detecting Camera or Multi-sensor Image Fusion. 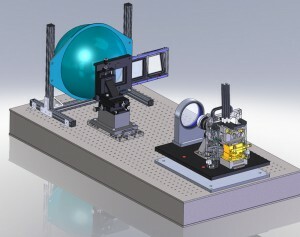 We design optical benches for sensor alignment, image stitching and calibrating composite sensors including high resolution geo-mapping bug-eye sensors and common focal plane. 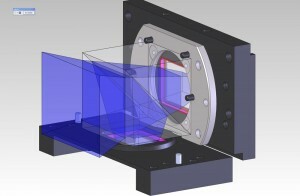 Created 6-DOF Alignment Fixture to align and calibrate focal planes with micron precision, independently on each axis. 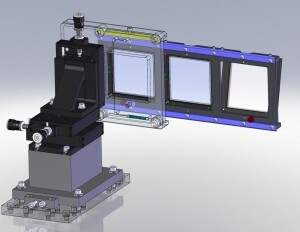 Integrated the fixture with a CMM to quantify errors and indicate the necessary micrometer movements to perform CCD alignments in 1-2 iterations. Created proprietary method to lock the focal planes in place. Developed calibrating algorithms for multiple/composite focal planes.